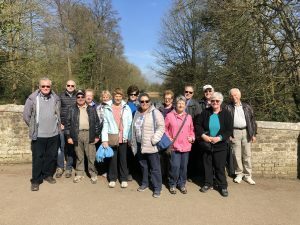 Our next walk will meet at 10.00 am at Northala Fields in Northolt. We will climb one of the four conical earth mounds situated at the side of the A40 Western Avenue, and admire the views right across London. There is a gentle circular climb to the top of the mound. The post code is UB5 6UR, and you can park in Kensington Road, which you can access from the slip road on the A40, just past it’s junction with the A312.